Six months later, we are still dealing with hurricane debris... namely the huge oak tree that split and fell in our backyard. 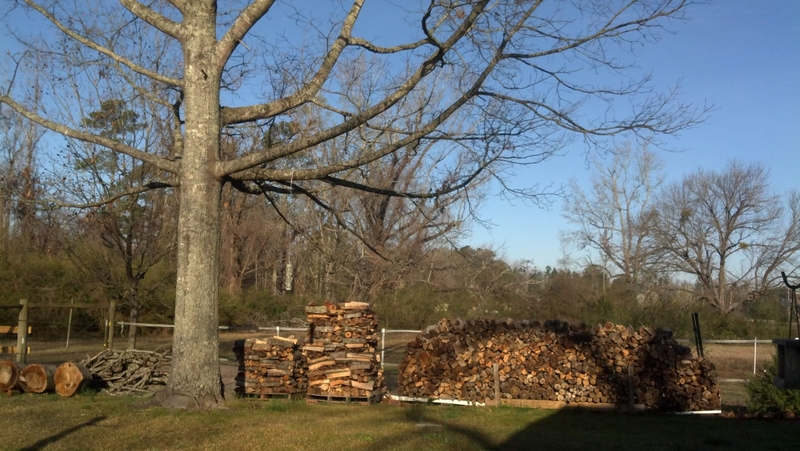 The Boy has been chopping it up for firewood, but that still leaves a lot of branches to deal with. 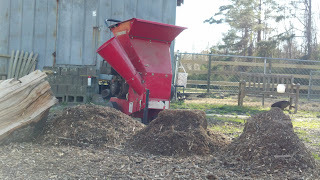 Luckily we have a small chipper shredder to turn the debris in mulch which we will then use in our gardens. 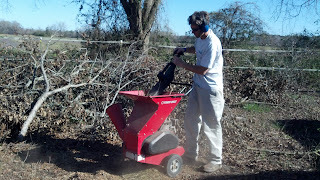 In the end, our best backyard shade tree will be 100% recycled on our farm. A chipper turns hurricane debris into valuable mulch for our gardens. 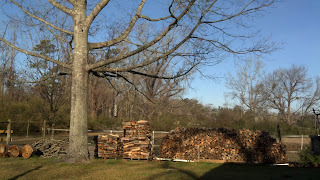 The chopped wood from the fallen oak tree will supply our woodstove for quite a while. You could start you a garden like the one on the video "Back to Eden", that I posted! We just moved and the previous owners left HUGE burn piles, I really am wanting a chipper to use it all for mulch in the garden instead. I just have to convince everyone else of that. Ours has really helped us a lot and we got it used several years ago. If you can't find a good used one (or a friend to borrow one from), can you rent one locally?